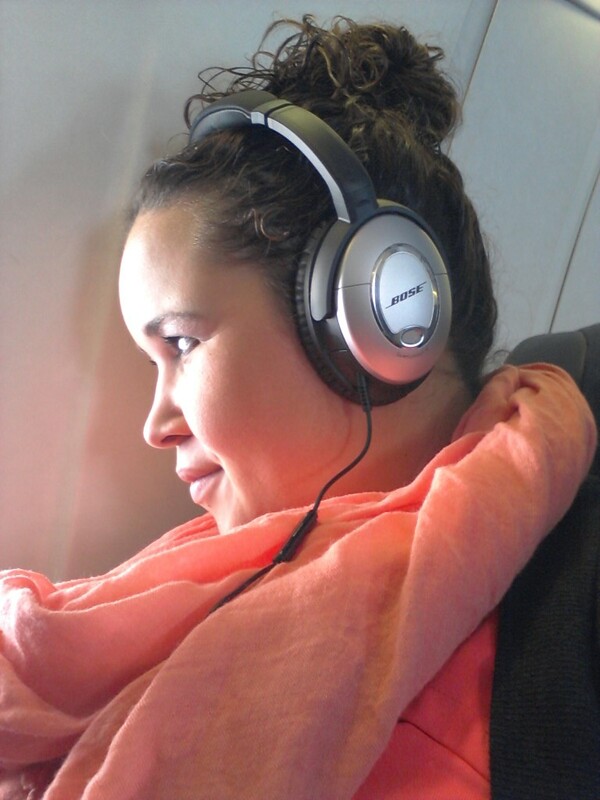 My new travel essential is the Bose Quiet Comfort 15 Acoustic Noise Cancelling Headphones. I tested out my early Christmas present from my boyfriend on my flight from Timmins, Ontario to Toronto Pearson International Airport. The Bombardier dash-8-100 is known to be a loud airplane with its two propellers spinning on either side of the middle of the plane. When I put my Bose QC15 headphones on after we reached our flying altitude and put the noise cancelling on, it was incredible. The difference was undeniable. With my headphones on I’m taken to a quiet peaceful faraway place. My headphones are able to block out the constant background noise of the plane which made my flight more enjoyable. Not only that, when I pressed play on my iPod and listened to the music quietly in the background, I heard absolutely nothing but my own music and the thoughts in my head. How did I go so long without this ingenious piece of technology? My boyfriend has been insisting for months that I need a pair of noise cancelling headphones for my flights. I have always managed without them, so I didn’t see the need. Now that he splurged on them for me I see why they make traveling a breeze. Now I can’t believe I’ve gone this long without them. I’ve taken 29 flights since starting my year off from teaching in July. Let me tell you, my recent 30th flight was heaven compared to the rest. There was no need for me to hear the background noise of the airplane, nearby conversations, or the hustle and bustle on the plane. I have a feeling that sleeping on a plane will become so much easier now. I could have used these when I took all my night flights this summer. It’s a new experience to sit on a plane and hear nothing but my own music; I love it. This practical travel accessory will make traveling that much more care free. I’ve never minded flying, or the noise, but I won’t have to mind it anymore. With 5 more fights to take me to the New Year, my QC15 will make my final 2013 flights a piece of cake. If I’ll have taken 35 flights in 6 months I wonder how many more flights I will take in my remaining 8 months of travel. 2014 will be a big year for me! With planning my trips at the last minute and sometimes less than two weeks before departure, I am not quite sure where I will be heading. I know that 2014 has big plans for me and I am ready. I know my Bose QC15 will help get me there! Until then, I will enjoy the next two weeks in Puerto Rico and Christmas in Nova Scotia, Canada. 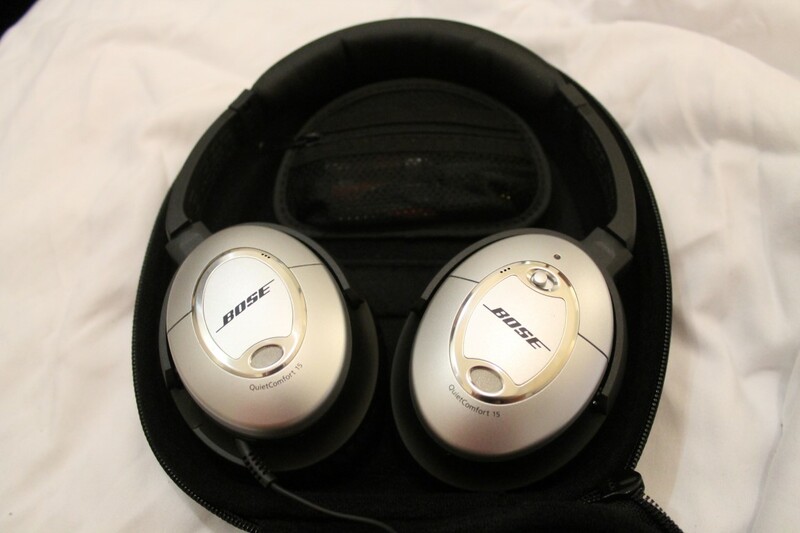 This entry was posted in Lifestyle, Reviews, travel and tagged Air planes, Bose, Bose QC15, Quiet Comfort 15, Travel, Travel Accessories, Turquoise Compass by Turquoise Compass. Bookmark the permalink. I hope so too. It will be well worth the investment!